This picture doesn’t do the size of the Sizzling Crepe any justice. It’s gigantic — It’s probably the size of my torso! 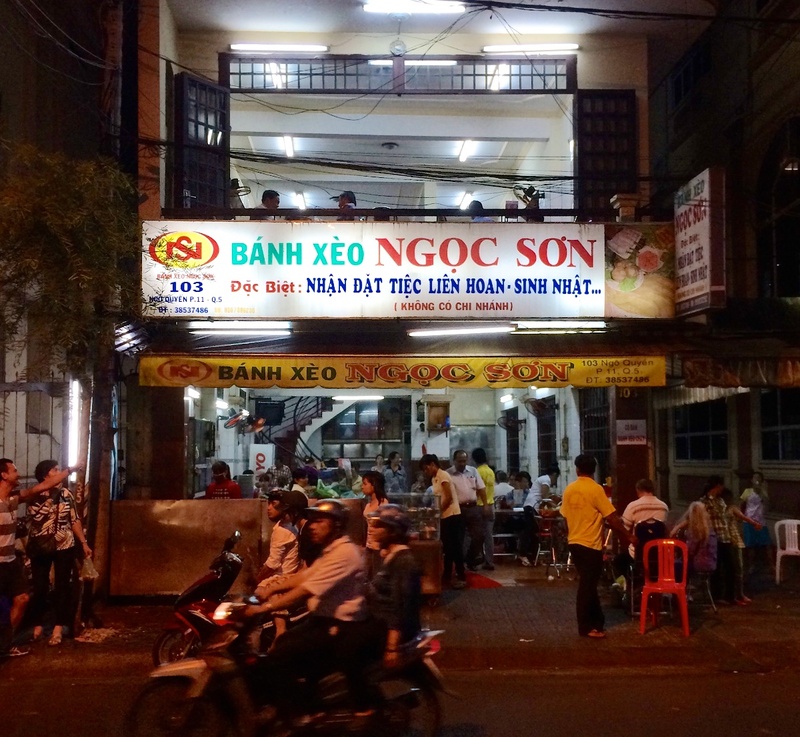 Bánh Xèo got it’s name, sizzling crepe, from the loud sizzling sound when the batter is poured into the hot skillet. 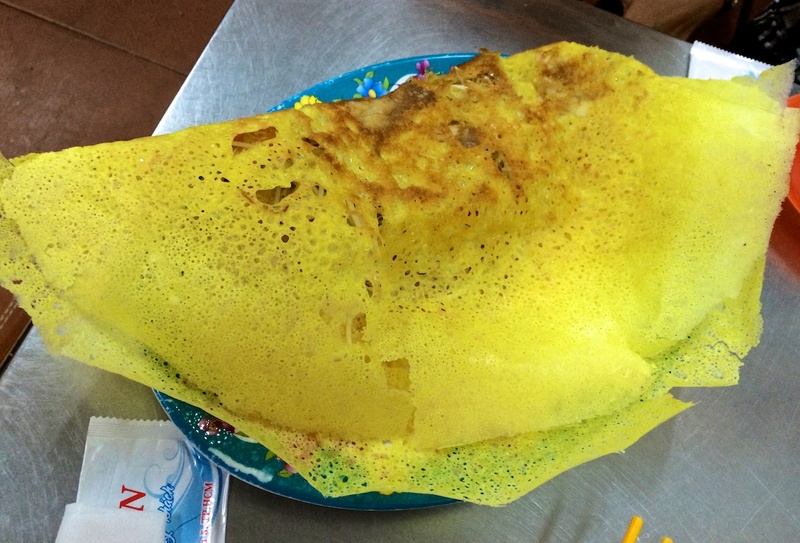 The batter is made from rice flour, water and turmeric, for color. Nestling between this delicate and crispy crepe are shrimps, pork slices, thinly sliced onions, and bean sprouts. Here, you get a big plate of different types of vegetables such as mustard greens, lettuce leaves, mints, and basils to wrap your crepe with before dipping it in the sweet and tangy fish sauce. Although it’s fried, it’s not at all greasy. I’ve tried several places and this is my favorite because it’s a local place serving up great crepes at a decent price. 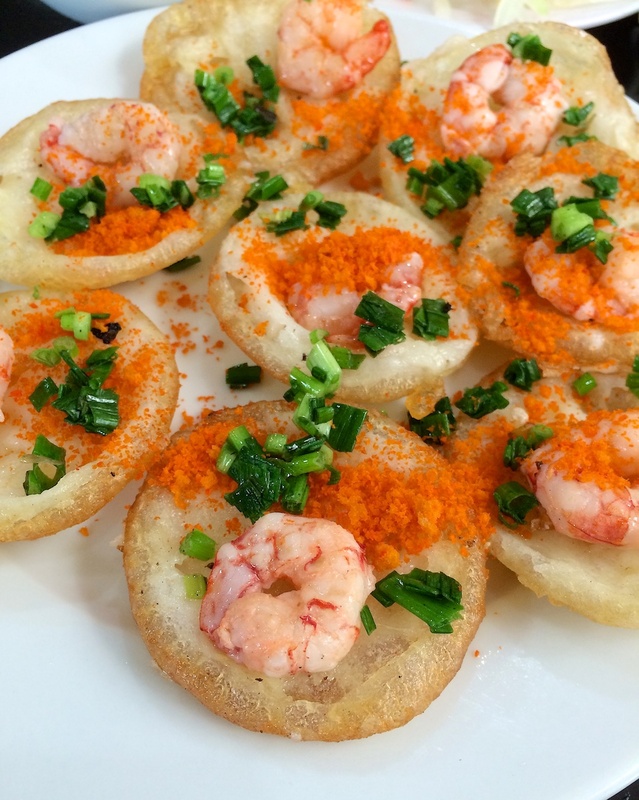 Also, try an order of Bánh Khọt, mini savory pancakes with shrimps. It’s made of rice flour, coconut milk, turmeric, mung/green beans, and green onions. It’s fried in a special pan with “shallow-bowl” shapes. 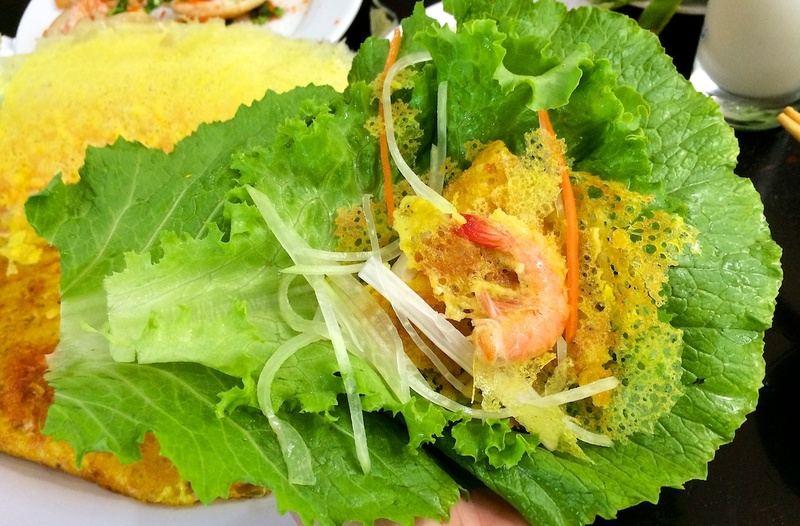 Similar to Bánh Xèo, it’s wrapped in lettuce and herbs and dipped in the sweet and tangy fish sauce.